Freedom Forum for Families and the Colorado Family Ball!! A Thomas Jefferson Education On this site you will find offerings that articulate and illustrate the principles of Leadership Education, whether they are applied in an educational institution, a corporation, or in coaching or home schooling. Abigail Adams Academy At Abigail Adams Academy, we focus on Mom’s education. Can we give our kids the type of education we ourselves never had? We can’t. We need a leadership education too. At the Abigail Adams Academy get the support you need for your liberal arts education! Find a TJEd Family near you This site requires registration and is a great tool to connect with other TJEd families near you. 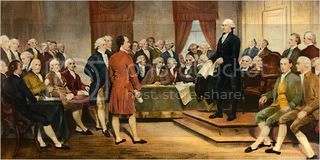 George Wythe University A co-educational, liberal arts university with undergraduate and graduate programs designed to produce leaders who possess the foundation and characteristics required for statesmanship. TJEd Online Community This online community serves students, mentors, parents and families as they pursue a Leadership Education. Mini Ag MiniAg is a business dedicated to teaching small-scale farming and the principles of georgics. Copyright © 2019 TJEd Colorado. All Rights Reserved.